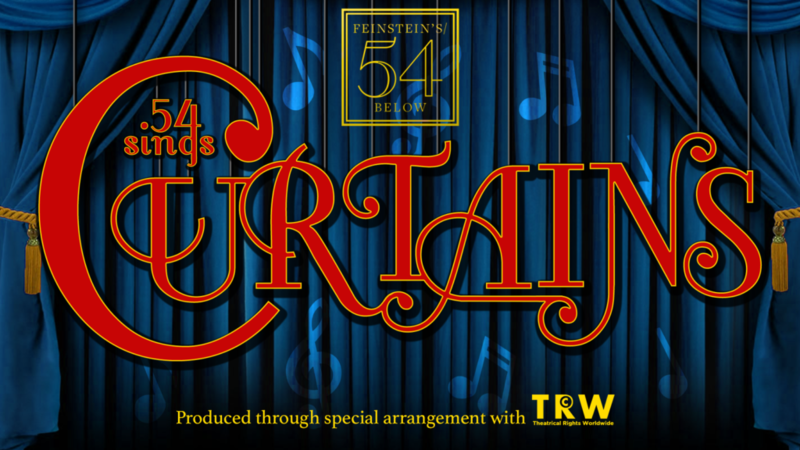 Last we kicked off our first of many nights at Feinsteins/54 Below with 54 Sings Curtains. Not only was it a wonderful evening full of familiar faces, but the perfect reminder of what a gem this show is. 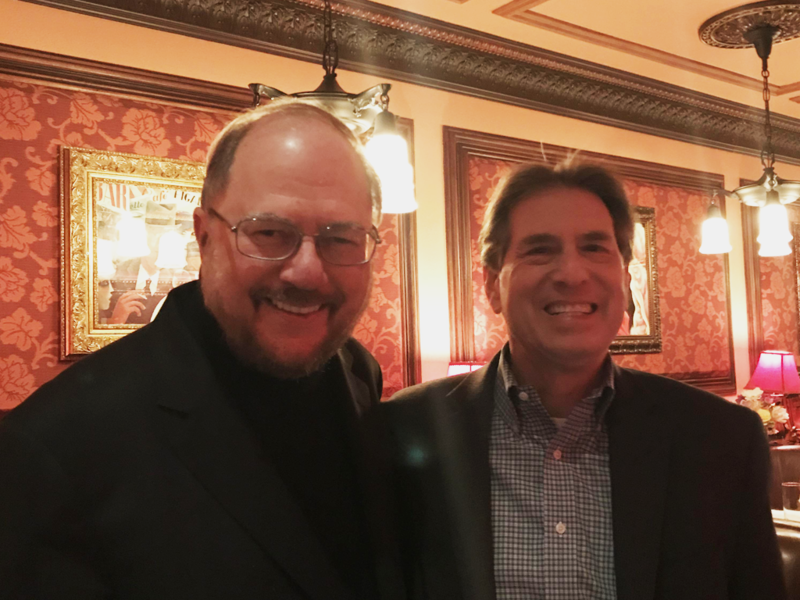 The evening was introduced by bookwriter Rupert Holmes, who gave us an abridged story of how Curtains was created. The cast assembled was led by the quirky and hilarious Richard Kind, who so graciously stepped into the leading role of Lieutenant Frank Cioffi, and brought his own comedic flair to the role originated by David Hyde Pierce. 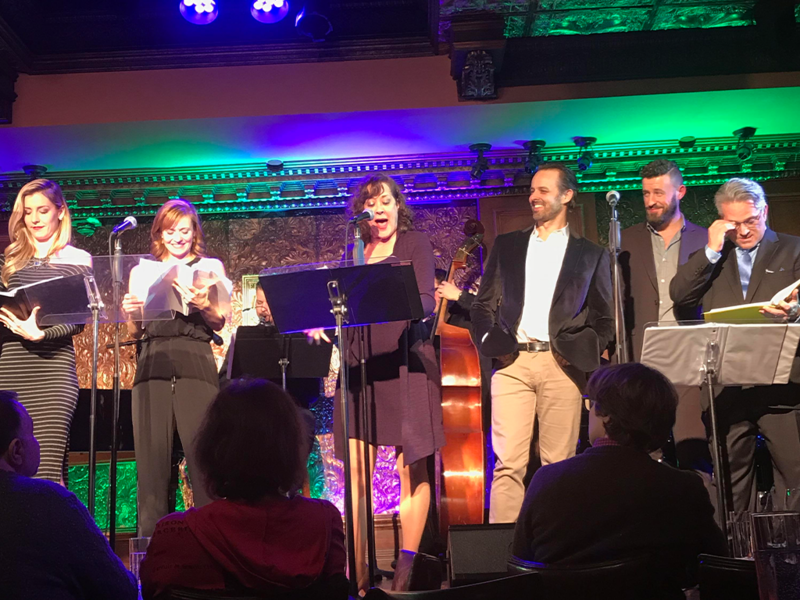 Other notable cast members included the always superb Karen Ziemba as the songwriter turned star, Georgia Hendricks, Noah Racey as leading man Bobby Pepper, Megan Sikora as Bambi, Erin Davie, who replaced in the original production, as ingenue Niki Harris, and a host of other Broadway veterans. One of the real treats of the evening was seeing New York Post columnist and notoriously tough critic, Michael Riedel, take on the role of Daryl Grady, the Boston theatre critic who revels in making or breaking the latest endeavors on the Boston stage. (Typecast much?) Mr. Riedel played the role at the 7pm performance and NY Times critic Charles Isherwood took on the role at the 9:30pm performance. It was all in good fun and frankly, Mr. Riedel certainly had the chops required. Even with a very limited bit of dialogue (the score was the focus of the evening), this company had us in stitches. It’s so easy to forget just how well a murder mystery can work in a musical theatre format. The score by John Kander and Fred Ebb is the lesser known of their shows, but it was tough to walk away from the night without wondering why. Period appropriate, with just enough self-awareness and wink, the score soars most when we’re learning more about these “show people” behind the scenes as they navigate an out-of-town tryout and a growing body count. As if mounting a musical isn’t stressful enough! Curtains is fully available for licensing in Broadway, School and Young@Part® Editions.